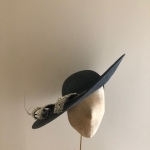 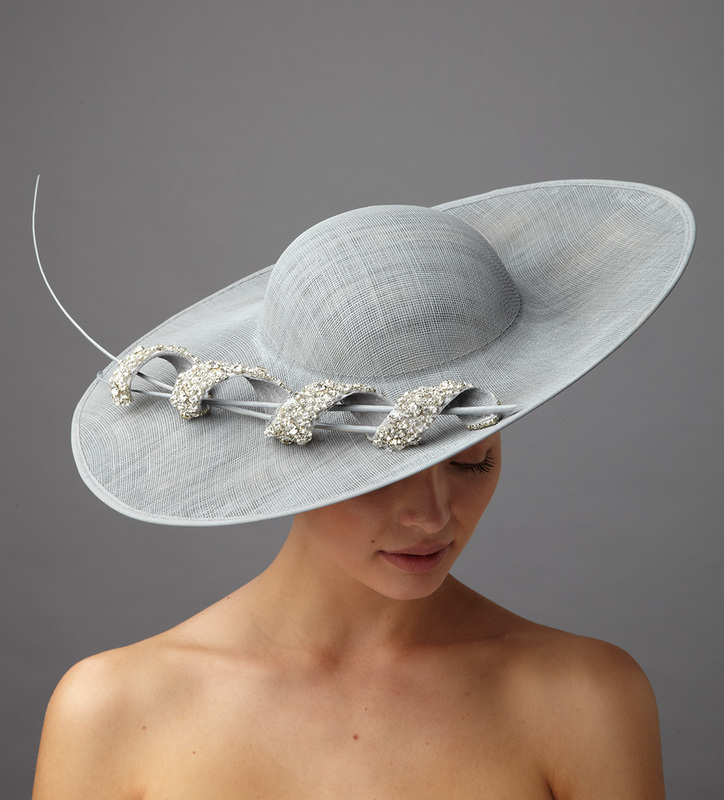 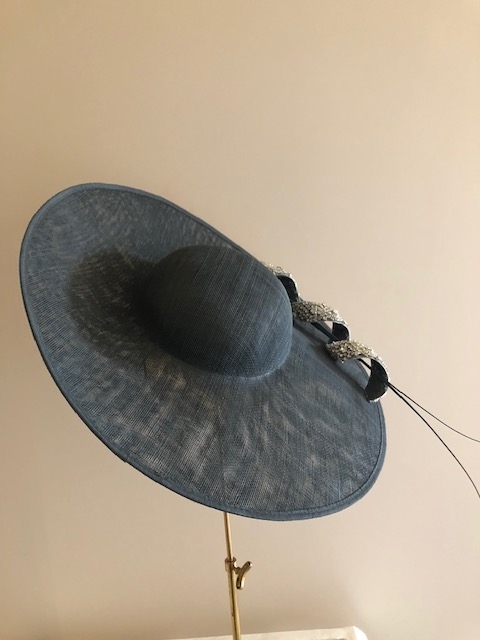 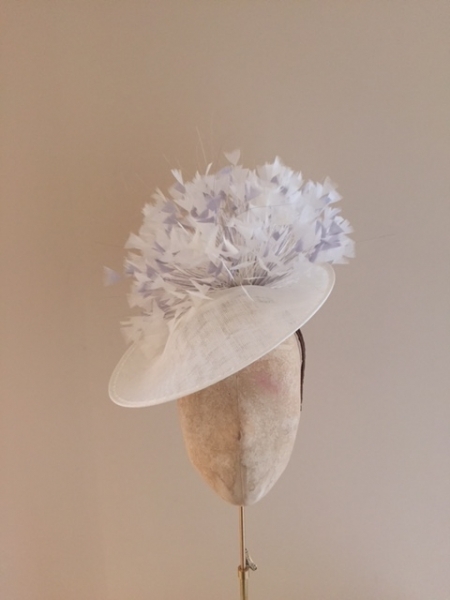 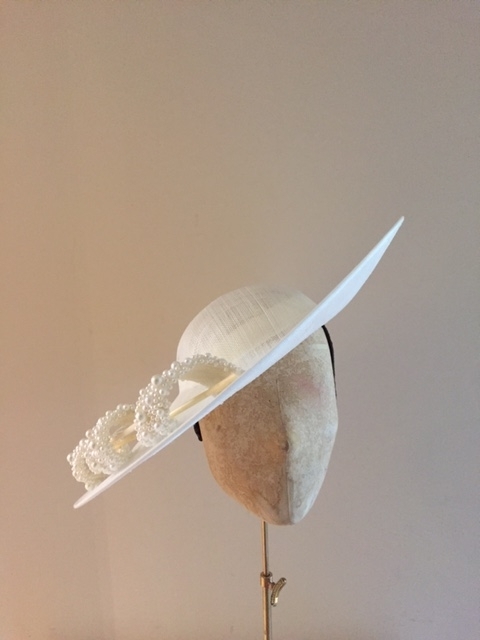 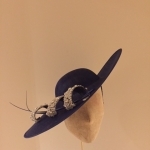 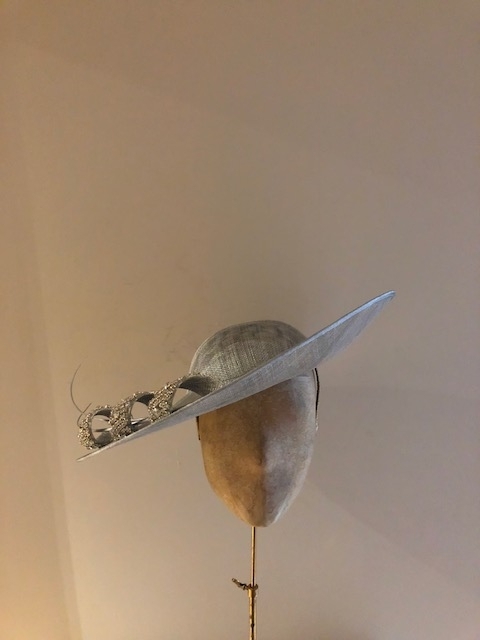 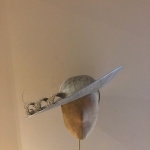 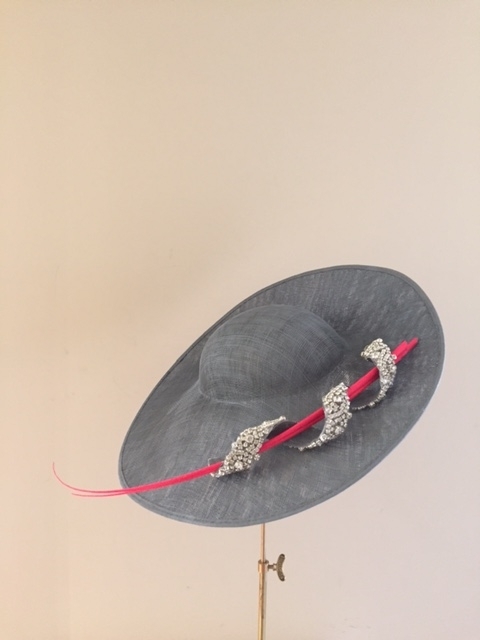 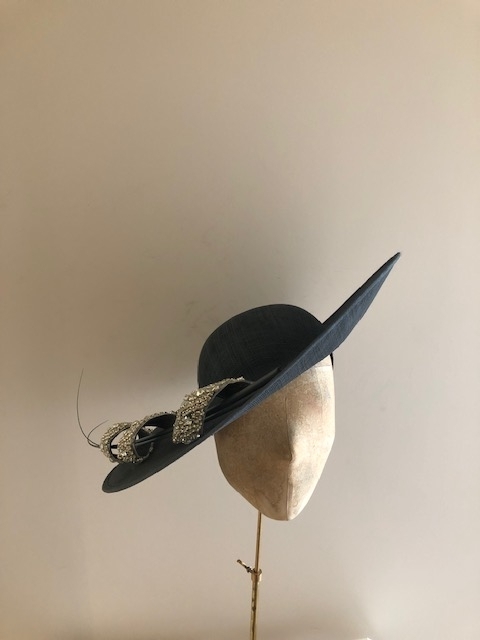 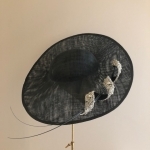 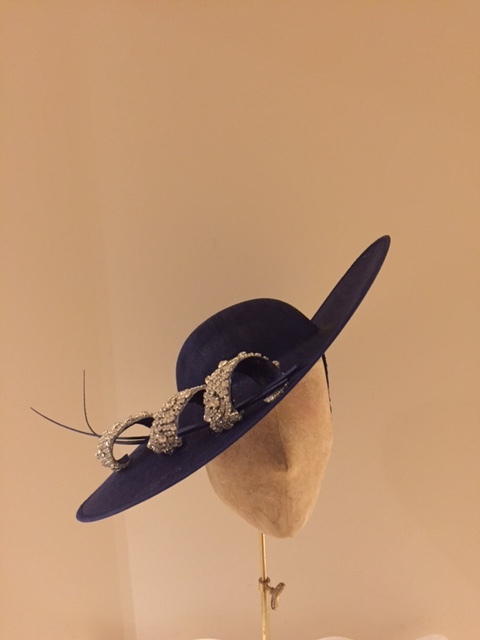 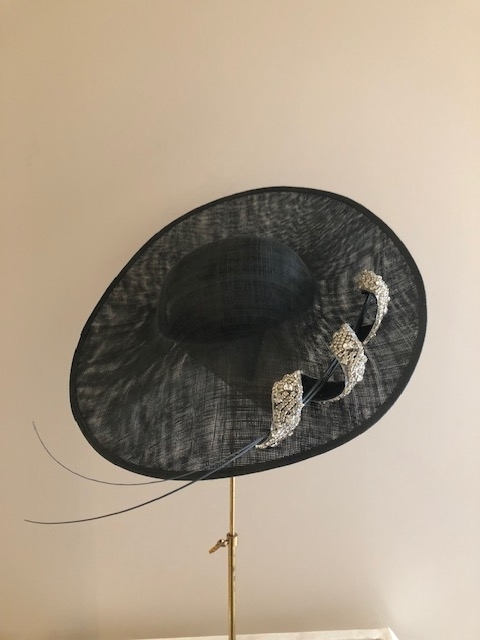 The Rogers Hat is absolutely beautiful and we think that this is the perfect mother of the bride hat, wedding guest hat or stand out racing hat. 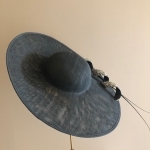 The Rogers has a wide brim with slight upturn to one side. 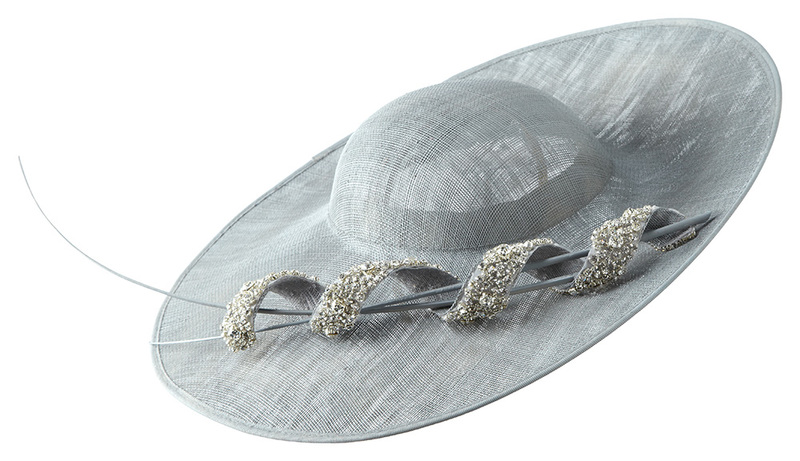 This hat is trimmed with a crystal twirl accented through the center with two stripped quills. 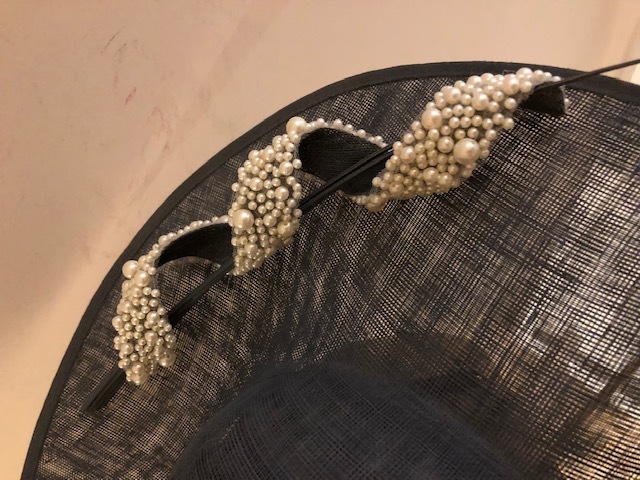 The hat comes with a band on the underside for a firm fit. 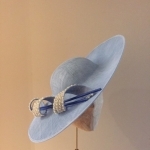 You can choose your hat colour from our huge range of colours. 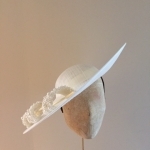 Please see our colour chart to browse the full range. 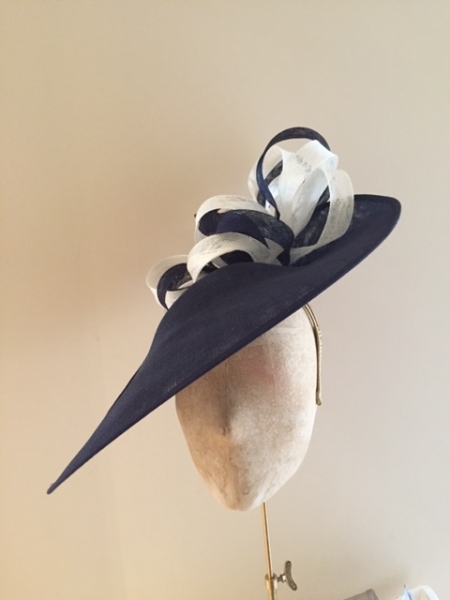 We are more than happy to send out colour swatches of any of our colours. 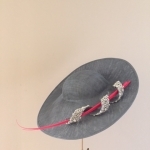 This helps you to be confident that you have chosen colours perfectly match your outfit. 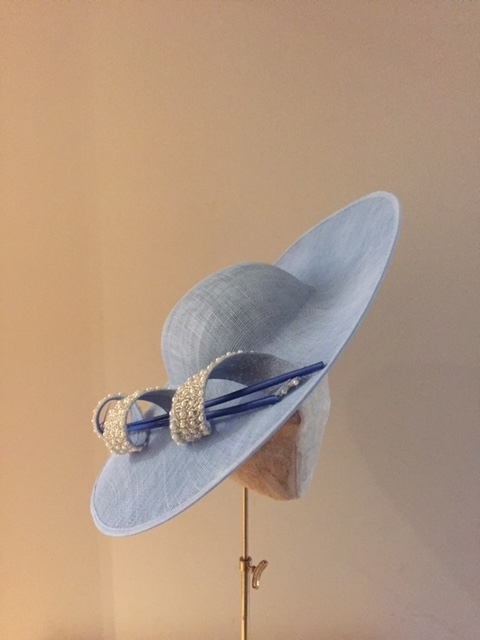 If you would rather we also offer a FREE OF CHARGE colour matching service where we work with you to advise you on the right colours for your outfit. 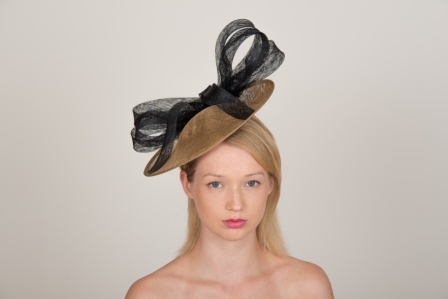 All you need to do is click the ‘Request a Colour consultation’ box as you check out and we will be in touch! 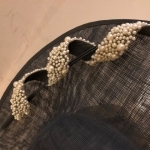 All of our hats and fascinators are delivered in strong boxes. 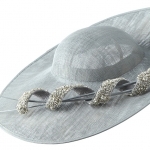 The boxes are designed to withstand delivery and to enable you to store your hat securely at home.